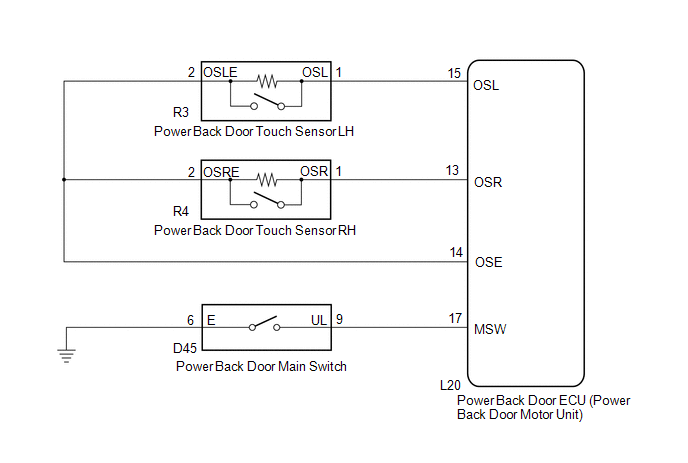 When the power back door cannot be operated using any switch, one of the following may be the cause: 1) initialization of the power back door ECU (power back door motor unit), 2) power back door touch sensor circuit, 3) power back door main switch circuit, 4) back door closer system, 5) meter/gauge system, 6) main body ECU (driver side junction block assembly) or 7) power back door ECU (power back door motor unit). (a) Perform the initialization for the power back door ECU (power back door motor unit) (See page ). (a) Check the power back door system operation (See page ). Power back door system operates normally. (a) Check back door closer system operation (See page ). (a) Check shift position indicator operation and that the speedometer indicates 0 mph when the vehicle is stopped and the engine idling . 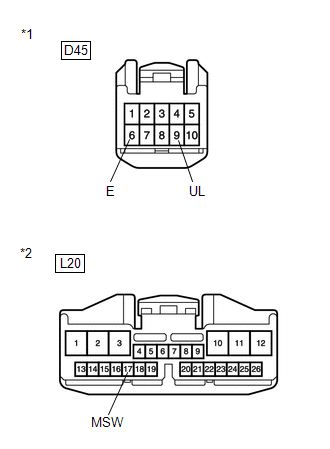 (e) Check the Data List to determine if the back door lock assembly functions properly. On the Techstream screen, ON or OFF will be displayed accordingly. On the Techstream screen, ON or OFF will not be displayed accordingly or Open is displayed. (e) Check the Data List to determine if the power back door main switch functions properly. 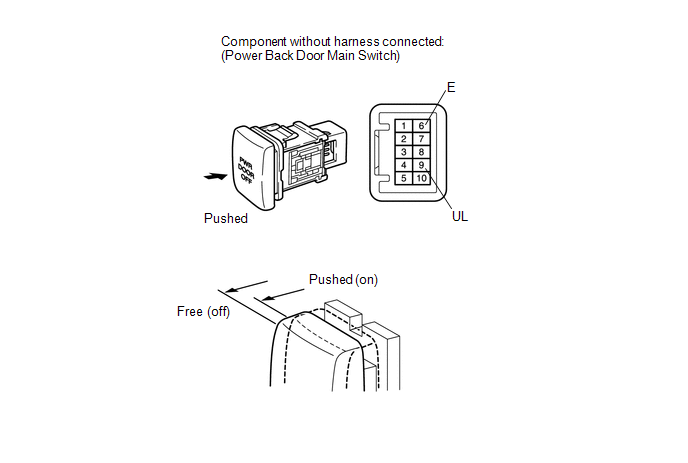 The power back door main switch functions as specified in the normal condition column. (a) Remove the power back door main switch (See page ). (a) Disconnect the D45 power back door main switch connector and L20 power back door ECU connector.